Today, after a long time I was watching Television, the channel was Fox History and program – building the ultimate: roller coaster. This program was a story of development of roller coasters, a very good and informative program. What struck to me was one development which was taken from the world war II German defense system. This system was a breakthrough in material for the wheel of the coaster. I started wondering, how these roller coaster designers took one thing (about 20 years old) from one place to different place and with some success. My take from this is – we can learn from anywhere; only basic need is willingness to learn and being open to possibilities. I heard some author earlier used a term – ‘possibility thinking’. This concept has been reinforced often to me. I have worked on TRIZ– the theory of inventive problem solving – and have worked on application of TRIZ (a very engineering based problem solving method) to social sector innovation and medical science etc. The concept of TRIZ is similar and very structured. 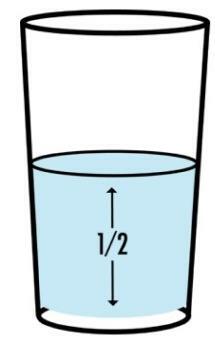 Let me give one analogy – a glass is half-full. An optimist says – the glass is half full, a pessimist says – the glass is half empty and the possibility thinker says there is room for more water in the glass. Going one step further – what if the glass is not there? Some would say – Glass IS (many possibilities). In my opinion this is possibility thinking; when you say Glass IS, you open opportunities to think more and more about what can be? The challenge is to switch back and forth from structured to more creative thinking. Coming back to the point of learning, the idea I want to reinforce is – we can learn from anywhere; only basic need is willingness to learn and being open to possibilities. The idea of this blog – Business to the Buddha was similar concept.